Welcome to the website of Patrick C. Cook, Photographer. Thanks for stopping in! I am a photographer specializing in landscape utilizing HDR and digital infrared photography. I also create interesting fractal images. Some of my work is available for viewing at this website where you'll also find information about me and the training courses I've published. Enjoy your visit! You might like to start by reading About Me and my Artist Statement. My Infrared Photography Gallery contains a selection of my images produced with a digital camera specially converted for infrared radiation. My Fractal Art Gallery presents a number of unique images created with software that maps pixels using mathematical algorithms. 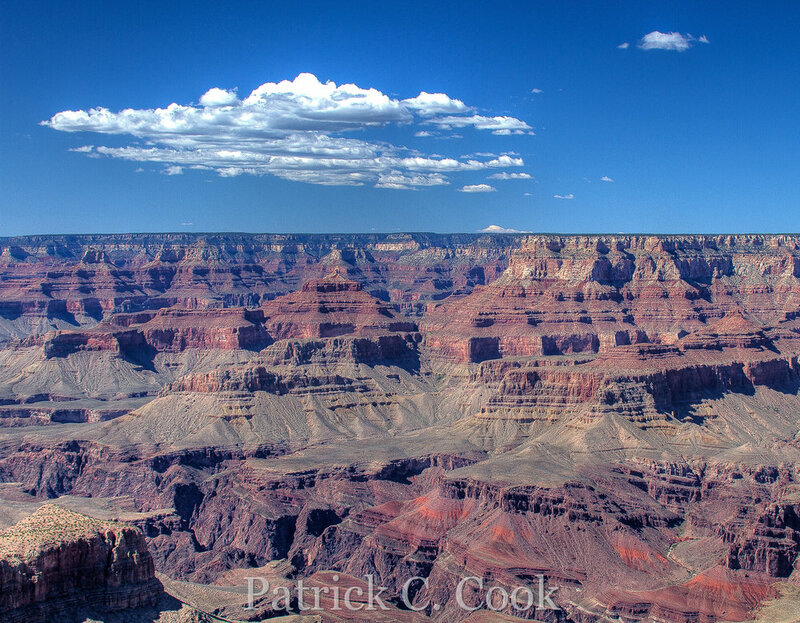 Review some of my favorite color photographs in my Color Photography Gallery, and take a tour of my Grand Canyon Gallery photos that I brought back from my memorable trip to the Canyon in 2011. You may also be interested in my photography video courses described below. My 7+ hour video course is a complete training course for digital infrared photography. The course covers many topics from the fundamentals of infrared photography to image processing to camera conversion. Success with Infrared Photography is designed to get anyone interested in digital infrared photography off to a great start and become successful making unique and memorable images. Please visit this page at this website to learn more about this course. My 6+ hour video training course delves deeply into HDR photography. The topics of this training course include HDR image examples, HDR defined, fundamentals of HDR, capturing for HDR and tone mapping. The HDR Masterclass is a start-to-finish video course to help develop HDR capture and processing skills by which to make remarkable and memorable images. Please visit this page at this website to learn more about The HDR Masterclass. My Blog has a collection of photography stories and some helpful advice that you may be interested in. Stop over when you have a few minutes. I make public announcements at my Facebook business page. I have a selection of my images at 500px.com, several of which are very popular. I maintain a personal cache of my images at my Flickr account. You can view videos I've created at my Vimeo and YouTube channels. I have published several photography related training courses on Udemy.com and Skillshare.com. I respect your privacy. I won't share your name or email information. I will only email you when I release something news worthy. You can unsubscribe from any notification email you receive from me.